I like these Bobbi Brown Illuminating Bronzers… they’re lovely for fair skin types who quite like the idea of bronzers but just don’t really know how to make them work. Antigua, Maui and now Bali Brown. In hindsight, I should have probably gone one stop paler and plumped for Aruba, but never mind… I like a challenge! Bali Brown is a golden bronze that stops short of looking dirty on my skintone. 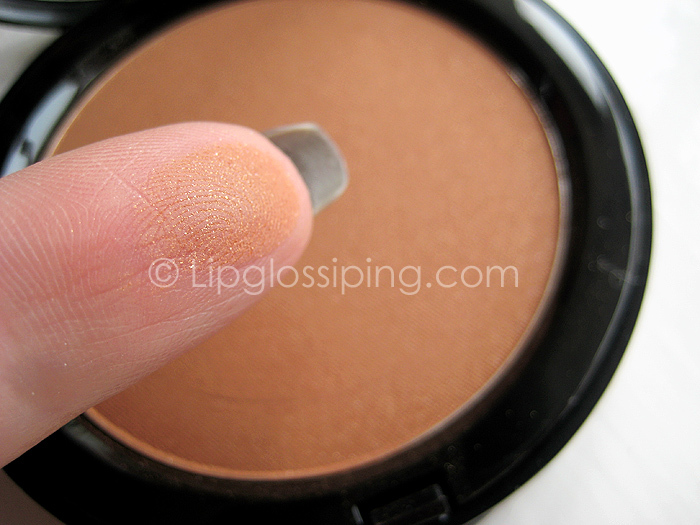 It is a much warmer bronzing shade than I’d normally dare to reach for, but with a light hand it warms up my complexion without looking too bronzy! 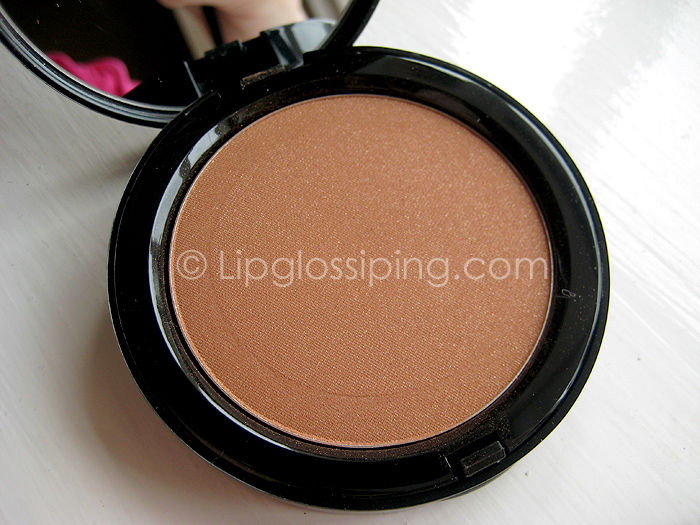 It contains a fairly subtle sparkle, so as with my other Bobbi Brown Illuminating Bronzers.. I wouldn’t use this as a contour shade. We aren’t even close to disco cheeks territory though… this is safe to use with a little bit of reckless abandon. A little bit, I said. I’ve just had a thought… is it ok to wear bronzer in the Winter? I’m one of those people that need a hint of colour on their cheeks to avoid that “freshly dug up” look. Will I be commiting some kind of cosmetic faux pas dusting this on my cheeks once the clocks go back?! Do you bronze regardless of the changing seasons? I do. I love bronzers. I have a massive collection and I tend to change the shade depending on the season or I apply less os my all time favourites. At the moment I’m loving the Contour Kit in Medium by Sleek…such a great value for money! i’ve always wanted to try antigua! saw it before on a magazine cover model..so pretty! Whilst I have finally decided to embrace my paleness aged 27 a hint of bronzer is always required to give at least a little colour. I think bronzer is fine all year long. I try to make a habit of contouring year round but usually I’m just lazy. Us palies need some color so we don’t get the “are you sick?” questions! Of *course* you can bronze in the winter! I always assumed that was half the reason why it existed in the first place — to keep us bronzed when we couldn’t actually… get bronzed outside. And ooh, is that ever pretty Definitely pretty enough to wear year-round, if you ask me. I bronze all year round. As a pasty white Canadian, I need a little bit of colour so that I don’t blend in with all the snow here. I have quite the collection too; different shades for different moods and degrees of snowfall hahaha. Hello! I bought this in Maui a while back, and loving it very very much! Use it more as a blusher though. First time commenting here. Lovely blog!